The integrated project, led by Joseph Cullen, MD, UI professor of surgery, and Douglas Spitz, PhD, UI professor of radiation oncology, is designed to evaluate the feasibility and effectiveness of adding high-dose IV vitamin C to standard cancer treatments for three of the deadliest cancers affecting the U.S. population: pancreatic cancer, non-small cell lung cancer, and glioblastoma multiforme (GBM), an aggressive type of brain cancer. 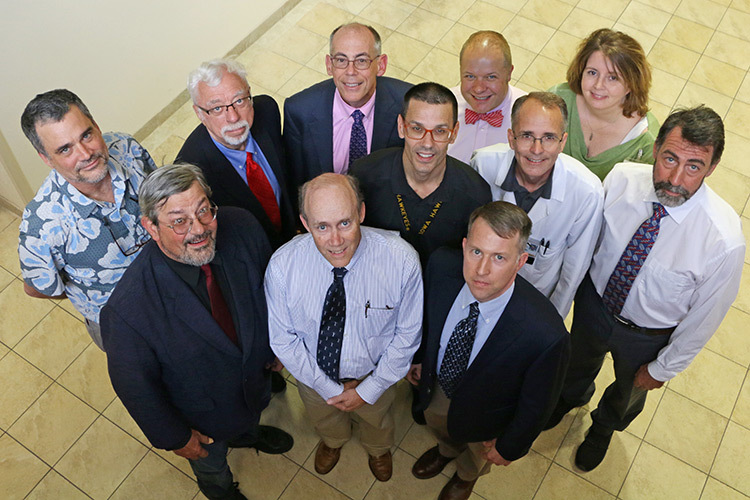 The UI team has persevered for many years to bring high-dose, IV vitamin C therapy to patient trials. They have often faced resistance and skepticism due to vitamin C’s controversial and mixed history as a cancer therapy. The biggest stumbling block has been the underappreciated fact that vitamin C consumed by mouth and vitamin C delivered intravenously lead to vastly different levels of vitamin C in the blood. That difference—a tiny amount from oral consumption compared to very high levels from IV—completely alters how the substance acts on cancer cells. Starting with experiments on cancer cells in petri dishes and then in animals, UI researchers have shown that high-dose vitamin C is selectively toxic to cancer cells while being relatively non-toxic to normal cells. Their studies show that this is due to biological glitches in cancer cells that cause them to selectively generate hydrogen peroxide from the high levels of vitamin C (relative to normal cells). Hydrogen peroxide is generally toxic to cancer cells and also makes the cancer cells more sensitive to radiation and chemotherapy. 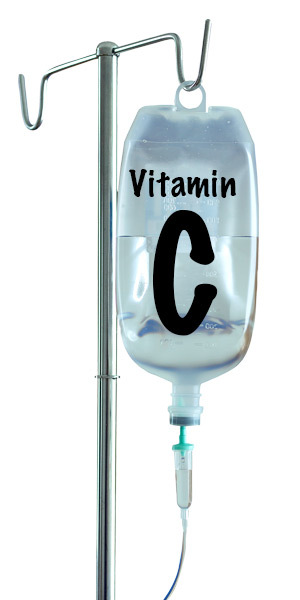 Recent results from clinical trials done by the UI program, as well as others, have shown that combining high-dose IV vitamin C with standard radio-chemotherapy is safe and well-tolerated by patients. These early stage trials also produced encouraging efficacy outcomes, and even suggested that adding vitamin C to the standard cancer therapies reduces the damage to normal tissue through its antioxidant function. Integration of the clinical work with basic research will allow the team to determine whether certain biomarkers or functional imaging tests can be used to predict which cancers might be most susceptible to treatment with high-dose vitamin C.
In addition to Cullen and Spitz, key personnel on the grant include UI the team of Garry Buettner, PhD, Bryan Allen, MD, PhD, John Buatti, MD, Brian Smith, PhD, Daniel Berg, MD, Muhammad Furqan, MD, Michael Henry, PhD, Frederick Domann, PhD, John Sunderland, PhD, Vincent Magnotta, PhD, and Kellie Bodeker, MSHS, CCRC.